American Jewish philanthropist's offer to pay for relocation of US embassy to Jerusalem dividing supporters of move. JTA - Sheldon Adelson’s offer to help pay for the new U.S. Embassy in Jerusalem is getting a thumb’s down from a range of observers who support the embassy’s relocation. The Associated Press had the exclusive on Friday morning, and JTA confirmed it with sources who have been apprised of the State Department’s deliberations. State’s lawyers are poring over the law books to determine how to pull off America’s first privately funded embassy. Why the Trump administration would want this — well, no one’s saying, but cost-cutting seems likely. The move to temporary digs, due this May, is eventually going to cost taxpayers about $60 million. A new embassy, built from scratch, will be much pricier. The newly opened U.S. Embassy in London cost $1 billion. Presumably, a Jerusalem embassy will come under $1 billion (although who can guess). Adelson, worth an estimated $40 billion, can afford it. Adelson’s spokesman declined to comment. JTA asked various people who have been intimately involved in advocating for the embassy move — in some cases, for decades — what they thought of the plan to privatize the embassy. The five who talked thought it was a terrible idea. The triumph of Trump’s recognition of Jerusalem, they tended to agree, is that it came about honestly because recognizing an ally’s capital is the right thing to do. Trump himself said Friday in a speech to conservative activists that he came under intense pressure from the international community not to make the move. The optics of a rich donor paying the U.S. government for the embassy, critics said, makes the move look less like a principled policy than a personal favor. Morton Klein, the president of the Zionist Organization of America, who is close to Adelson, referred to AP’s reporting that Adelson might seek other funders, including among pro-Israel Christians. Daniel Shapiro, the Obama administration’s ambassador to Israel who has since leaving the position advocated for a move, said he did not believe that State Department lawyers would sign off on the arrangement. 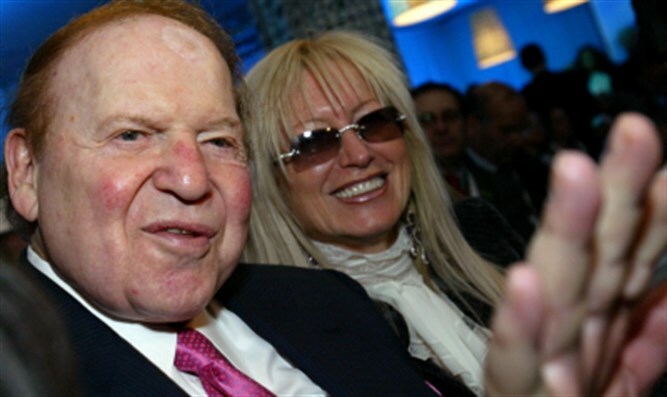 Once Adelson started funneling hundreds of millions of dollars into the U.S. government’s coffers, there would be immediate conflict of interest questions, including, what is the casino magnate and pro-Israel philanthropist getting in return? Abraham Foxman, the emeritus national director of the Anti-Defamation League – who also thought private funding for embassies was a terrible idea - had a different proposal.